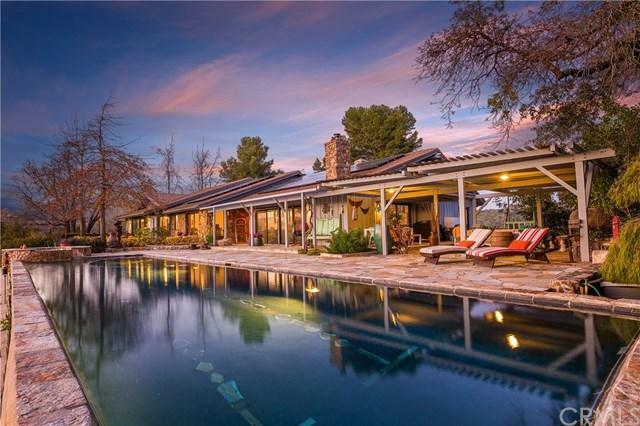 Captivating single story ranch home on 5.27 acres with so much appeal inside & out. 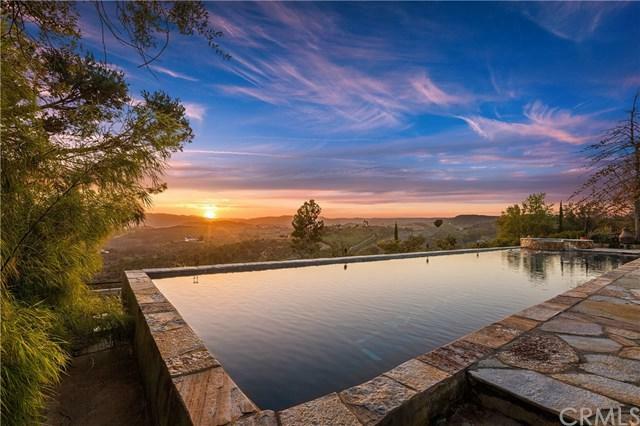 Set on a very private hilltop lot with 360 endless views. Breathless sunsets you can enjoy every evening, what a way to relax at the end of each day! Over 4000 sf with 5 bedrooms (one being used as an office), 4 bathrooms and separate 3 car garage. Every room has been renovated and house feels like a model home with the latest amenities. 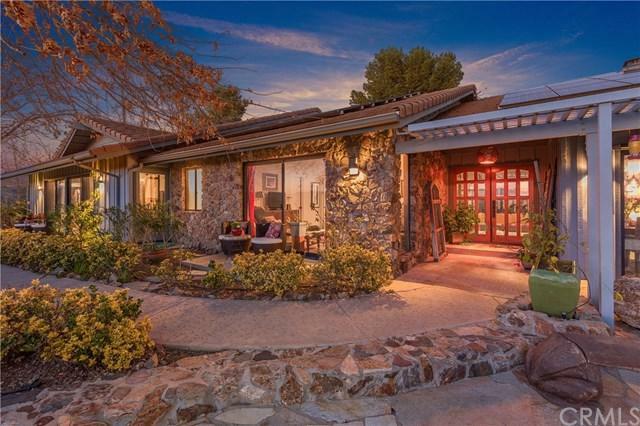 Very open modern floor plan with upgrades that include wood look tile flooring through Captivating single story ranch home on 5.27 acres with so much appeal inside & out. 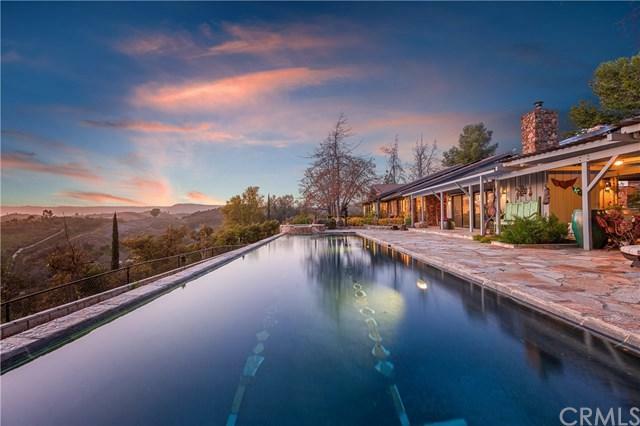 Set on a very private hilltop lot with 360 endless views. Breathless sunsets you can enjoy every evening, what a way to relax at the end of each day! Over 4000 sf with 5 bedrooms (one being used as an office), 4 bathrooms and separate 3 car garage. Every room has been renovated and house feels like a model home with the latest amenities. Very open modern floor plan with upgrades that include wood look tile flooring throughout, high ceilings, new paint, new 5 panel solid doors, new hardware, new light fixtures and more. Wood beam ceiling detail along with numerous glass sliders so you can take in the views from almost every window of this special home. Two floor to ceiling stone fireplaces including a double sided fireplace in the great room. Amazing kitchen with double granite island, Wolf induction stove, Sub-zero refrigerator, Bosch dishwasher & stone accent indoor grill for the gourmet chef in the family! Three bathrooms completely remodeled with marble counters, glass tile shower and accent, mirrors, fixtures & bowl sinks. Flagstone pool and raised spa (built in 2007) surrounded by flagstone decking, a perfect place to sit & enjoy the absolutely stunning views. Covered patio areas for all your entertaining and family time! Property includes an avocado tree grove with over 300 trees as well as an assortment of fruit trees. This home has a special charm and character making it a must see!